A lot of people misunderstand Cairo. To some of us, the only image that comes to mind is that of an ancient city. Others of us might imagine a place that is spread out, crowded and dry, and perhaps lacking modern amenities. Both perceptions are rooted in some degree of accuracy – but Cairo is also a bustling modern city, full of impressive buildings, luxurious amenities, and tourists from all over the world. To accommodate those tourists (it’s one of the most visited cities in Africa), Cairo has also gained some fairly exceptional hotels and resorts over the years. If you’re looking to splurge on a trip to the area, these are three you might consider staying at. 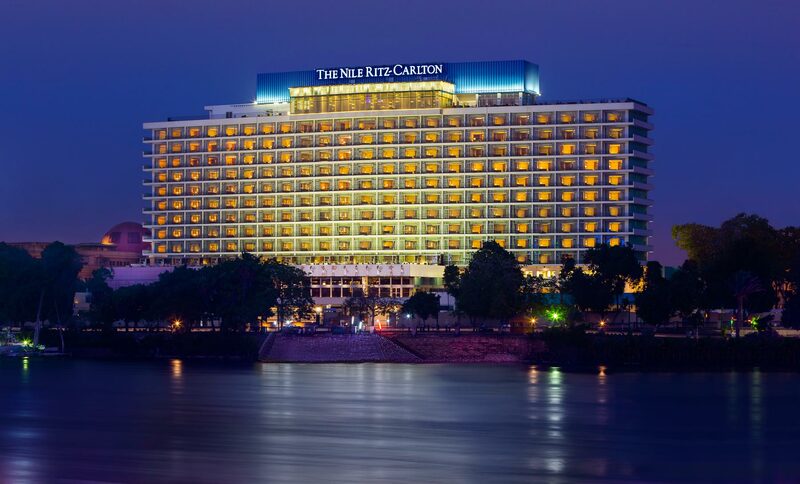 The idea of combining the Nile and a Ritz Carlton venue has to be just about what everyone would like in a luxury stay in Cairo. This is one of the world’s most renowned hotel chains coupled with one of its most legendary landmarks – and the hotel is right on the edge of the river. 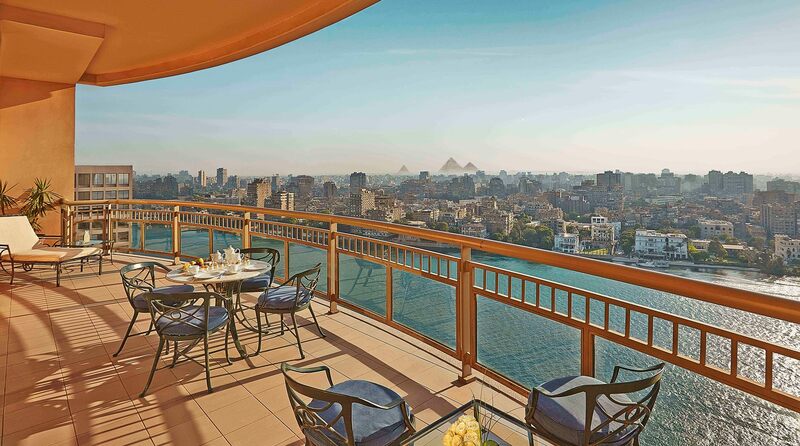 If you’re a history buff or simply someone with an active imagination, it’s not hard to get swept up in the thought of ancient Egyptians taking their boats down the very river you’re looking down upon from a luxury hotel room. Ancient imagery aside, this is also a fascinating hotel where more modern history is concerned. It was only a matter of years ago that Egypt more or less shut down to tourists, with the Arab Spring producing images of beaten protestors, and countries like the U.S. issuing travel advisories. Since then the country has grown safer, however, and Cairo has returned to the ranks of popular tourist destinations. As part of that process, this hotel was essentially updated and reopened. It was once the Nile Hilton – which famously hosted Elizabeth Taylor and Frank Sinatra – but now stands as a newer, more modern, and more beautiful establishment. Gorgeous rooms, in-house dining options and spas, and an aesthetic that is tastefully true to Egyptian art and style combine to present a magnificent picture. If there’s historical intrigue to the Nile, it’s nothing next to what the pyramids of Giza inspire. Known as one of the wonders of the ancient world, the pyramids have inspired everything from animated films to modern conspiracy theories about alien involvement. They’re in video games, works of art, history textbooks and popular storybooks. One game involving the pyramids as a backdrop for an adventurous slot arcade may have best summed up what we get out of them as a setting. Noting the presentation of the pyramids presented in a “cartoon style,” the game promises that viewing ancient Egyptian graphics will bring out your inner child and sense of adventure. That’s what we love about the pyramids. They make us remember our awe when we first studied ancient Egypt, and they make us imagine fascinating civilizations that existed thousands of years ago. They’re adventurous merely to think about – let alone look at out of a hotel window. But that’s the experience you get staying at Le Méridien Pyramids, an incredible, posh resort in which most rooms actually allow you to see the pyramids (and the sphinx) in the distance. The pricing is actually stunningly reasonable for such an opportunity (rooms from about 70 to 150 Euro), and the amenities are as lovely as you’d hope for. The Conrad Hotel bills itself largely as a business hotel. Indeed its write-up at Five Star Alliance cites it as one of the best business hotels in the Middle East, and it advertises certain conveniences for people who are traveling to Cairo with a need to get work done. Surely it’s one of the best options for this specific purpose, combining luxury, modern amenities, and a convenient location in the heart of Cairo. However, it’s also a nice comfortable place for tourists to stay, and perhaps a somewhat quieter and more elegant option for those looking for a relaxing getaway. 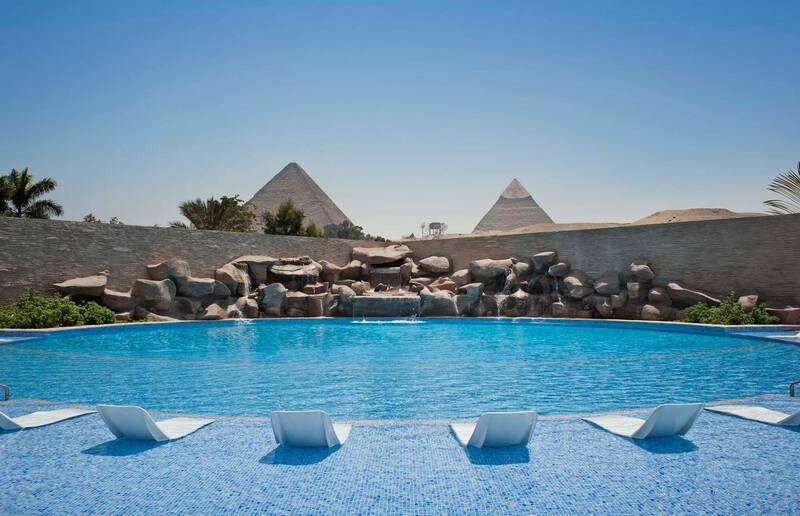 This hotel actually combines the location-related features of the first two mentioned, in that it is situated right on the Nile, and, from high rooms on days with good visibility, a view of the pyramids. The rooms are pretty and appealing, the pool is wonderful, and there is an in-house spa. Here, however, the dining options might be the best draw. A few different restaurants offer cuisine from all over the world, and patio seating and/or floor-to-ceiling windows allow you to enjoy the feeling of dining over the city.